If you’re looking for a great last-minute gift for a teen in your life, look no further than the latest amazing YA title from LaurieFaria Stolarz. 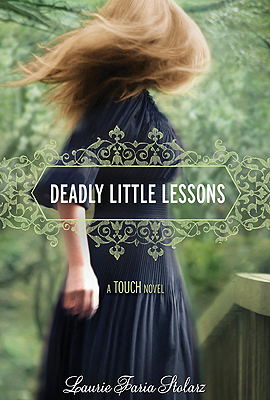 Her books are fabulous and I can’t wait to read her latest installment, Deadly Little Lessons! Sounds intriguing, Laurie! And I love your covers! Now, everyone go out and buy books, lots and lots of books! ‹ Have A Holly Jolly Chrismukkah!